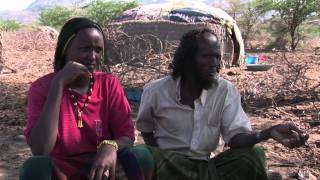 Afarvänner i Sverige (Afarfriends in Sweden) is a humanitarian organisation whose main purpose is to spread information about the Afar people who live on the horn of Africa, and inform about their situation. It is also our goal, however, to engage in various types of development assistance projects in order to tangibly improve the Afar people’s standard of living. Since 1999, the organisation co-operates with PTP Sweden (People to People), a Swedish section of an international NGO that makes great efforts in many places, among others in the horn of Africa. Since 2001, Afar Friends in Sweden has an agreement of co-operation with ABF (Workers’ Educational Association) in Uppsala County. Among other things we have jointly organised a large conference in December 2001 on the role of the Afar people in the efforts to create a lasting peace in the horn of Africa. Since autumn 2002, we co-operate with Uppsala Social Forum, an organisation that annually organise a “social forum” for democracy, peace, environmental issues, solidarity, human rights and the equal value of individuals. On the international arena, Afar Friends in Sweden co-operates with the APDA (Afar Pastoralist Development Association) in Ethiopia, the ASAP (Aid & Solidarity with the Afar People) in France, the Afar Community Association in England, and Afar Aid in Germany.